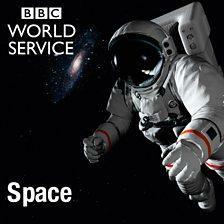 Space: Stories, opinion and debate about the final frontier from BBC Radio 4. Hostile Worlds: A journey to some of the most inhospitable, humbling, and frighteningly beautiful places in the known universe. Focus on Technology: Ann Thompson reports on the latest trends in technology and their effects on medicine, safety, the environment or entertainment. Cults: Mystery. Manipulation. Murder. What really goes on inside a cult? Here We Stand: A 31-day journey with heroes of the reformation.